I fell in love with her idea and told her that I would make sure whatever blankets her dorm made, that they would go specifically to the breast cancer patients. To say that I was blown away by what I received in the mail a few days ago would be a huge understatement. 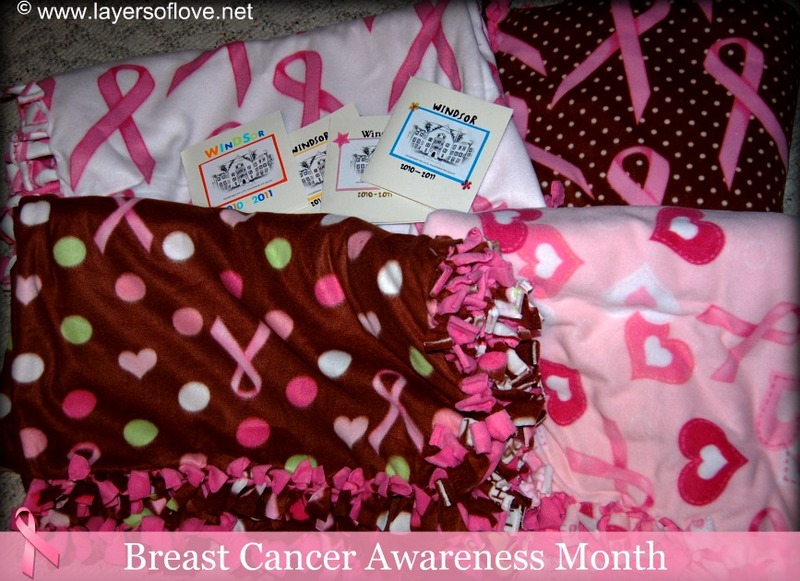 Karis and the girls at Windsor Residence Hall at Purdue University made beautiful blankets. The girls also made the cards to go along with each of the blankets they made as well. They are beautiful handmade cards, with special greetings giving their support to each breast cancer patient inside. I am so grateful to Karis and the girls of Windsor Residence Hall at Purdue University for taking time out of their very busy college schedule to make these blankets for the us here at Layers of Love to pass along to the breast cancer patients who are currently going through chemotherapy at the Lehigh Valley Health Network. These girls have a big heart. They have done beautiful work and I thank them from the bottom of my heart for their donations.